Very serious question, does brunch in Rome exist? Don’t get me wrong, I love a traditional Italian breakfast, but as an American, my idea of a good morning – is brunch. For those who don’t know, brunch is essentially breakfast served between breakfast and lunch typically from around 9:30am-4:00pm mainly on the weekend. This American Tradition is intended to give a relaxed late start to the day while bringing people together for pancakes, eggs, bacon or sausage, with a cup of coffee (filter coffee) or orange juice. 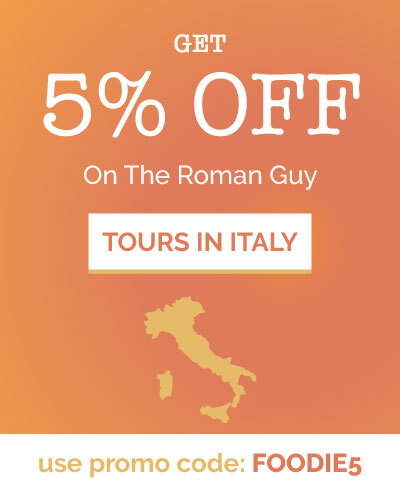 Since moving to Rome I’ve found this hard to come by. 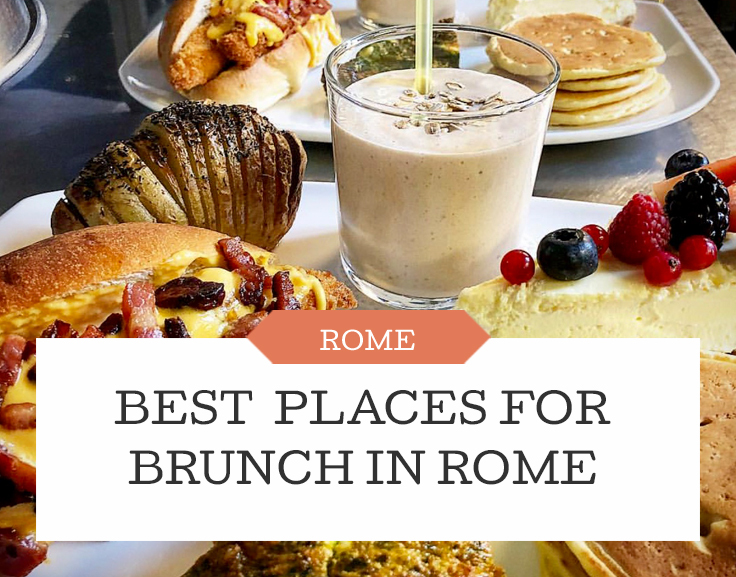 Luckily, after some research, I’ve found these 5 restaurants that offer amazing brunch in Rome. 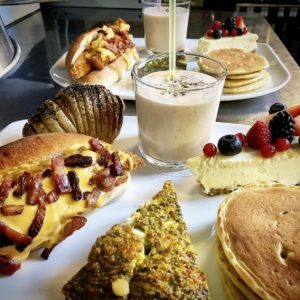 If you’re looking for a breakfast / brunch in Rome that has traditional American brunch, then this is the perfect place for you! Located in the Trieste area of Rome, you can get pancakes, eggs, bacon, filter coffee among other spectacular meals. With a lovely student discount and phenomenal menu, this restaurant doesn’t break the bank and is just what you need to get a little piece of home (if you’re from the United States). Homebaked is widely popular among study abroad students and offers cute indoor seating to drink coffee and study. As if homebaked wasn’t cool enough, if you don’t see something you like on the menu, they’ll make it for you given they have the ingredients in stock. The menu is filled with meals named after the customers who’ve put the dish together. This restaurant offers both Italian and American food options but most importantly, Sunday brunch! 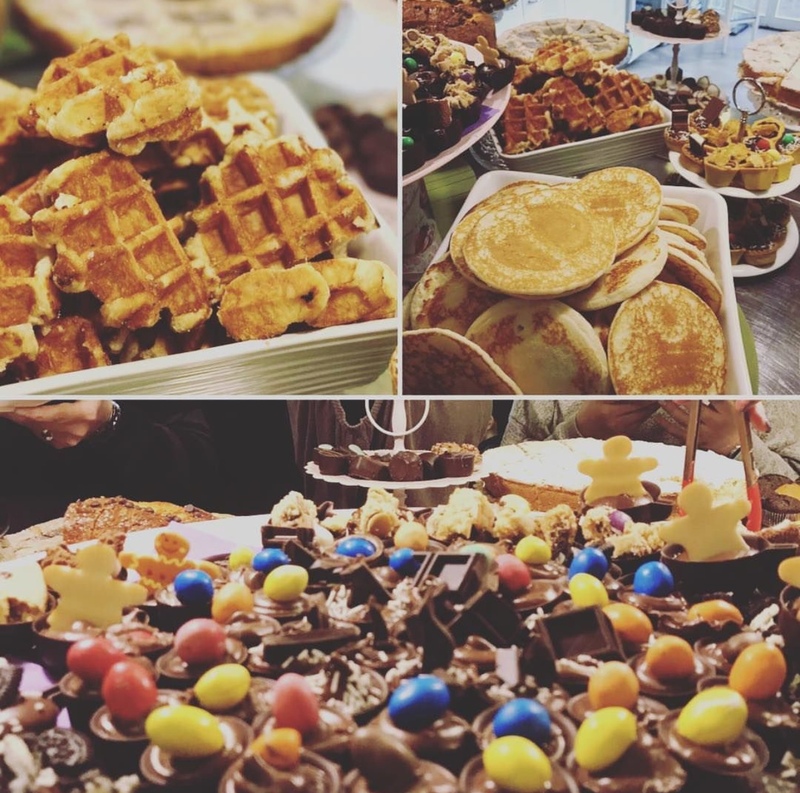 Their “Sweet Buffet” offers dark chocolate donuts with cream and strawberry icing, waffles and pancakes with nutella, fresh fruit, muffins, vegan whole-wheat cheese cake with berries and so much more! 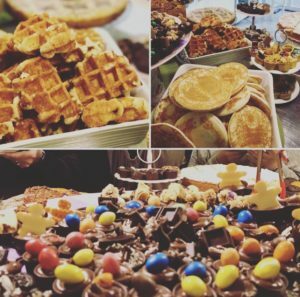 If you have a sweet-tooth and are looking for brunch in Rome, Sweet King has your name all over it! With such a casual, open, and friendly atmosphere this is one of the best breakfast buffets in Rome. Sweet King is so cozy and cute it is a must go. 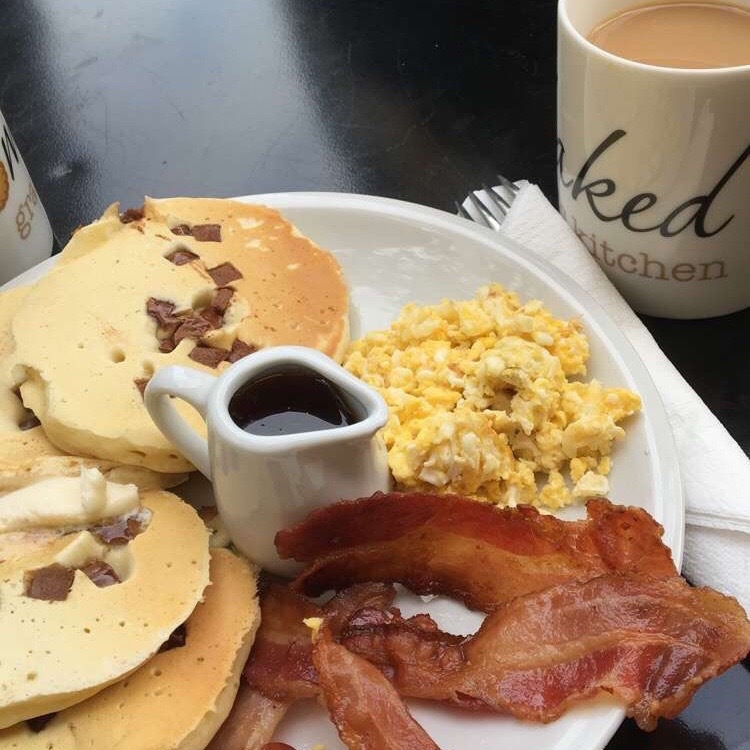 The Bakery House brunch consists of an American style breakfast which serves eggs and bacon, ham and cheese omelettes, pancakes, French toast, bagels, and sandwiches. It is important to know that the Bakery House is extremely popular and it is be best to call ahead to reserve a table so that the wait isn’t so long. Nonetheless, it is soooooooo worth it! 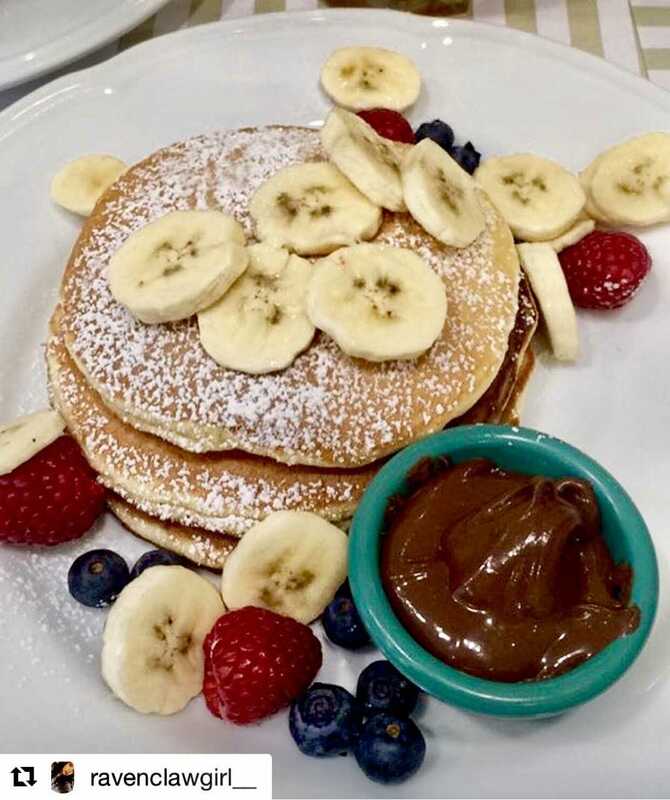 When I went, I ordered vegan pancakes with banana and nutella with a caramel iced coffee and I was in heaven. My roommate ordered the Brunch Omelet which was made with cooked ham, mushrooms, cheese, and onion with sweet potatoes on the side. It looked remarkable. nd Rome. Keep in mind that Rec 23 is also open every day of the week from 6:00pm-1:00am but brunch hours are 12:30-4:00pm weekends only. Big Brunch – for € 29.00, you get bread, butter and jam, sandwich with roast beef, cherry tomatoes and horseradish sauce, omelette with carrots, lentils, rocket and pecorino cheese, Hasselbach potato with bacon and melted cheese , pancakes with double chocolate, banana and caramelized apple, lemon meringue pie, american coffee, and orange juice. SO much food! Light Brunch – for € 20.00 with similar food items less quantity. If you’re vegetarian, for € 26.00 you can have the same options as “Big Brunch” except it is accommodated for a vegetarian diet, so no meat. Additionally, there is a kids brunch option as well so they’re will be something for the whole family. Want to try out amazing restaurants while truly experiencing Rome’s unique culture? 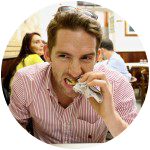 Why not join one of The Roman Guy’s NEW food tours in Rome, Venice or Florence!